Neurology 2019: Invitation extended to each and everyone in the field of Neurology and Neuroscience, who is keen to join one of the best Neurology conferences in Europe entitled 28th World Congress on Neurology and Therapeutics during February 28 – March 01, 2019 in Berlin, Germany. Neurological disorders become a growing threat. Nearly, 600 diseases of the nervous system acquired their importance in the research field of neuroscience, such as Brain tumours, Alzheimer’s disease, Epilepsy, Parkinson's disease and Stroke etc. In order to reduce the impact of neurological disorders, innovative approaches involving strong partnerships must be put in place. Our scientific agenda is rich and interdisciplinary with Keynote lectures, Oral presentations, Poster Competitions and Young Researchers Forum. 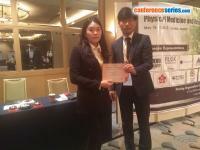 Besides these, workshops, symposiums, exhibitions are co-located. It will also be an outstanding opportunity for entrepreneurs keen at expanding their global neuroscience market reach. It is a great opportunity to network with your peers and also Neurology 2019 offers CME credits to support your educational opportunities. Neurophysiology 2019: We extend a blithesome welcome to our 23rd International Conference on Neurology and Neurophysiology which is going to be held during March 18-19, 2019 in Edinburgh, Scotland. Neurophysiology conference will give a perfect platform for sharing and developing innovative ideas on the latest developments and future perspectives in the field of neurology and neurophysiology for the treatment of various Neurological disorders. 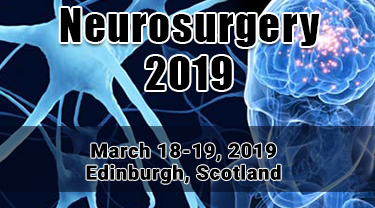 Neurosurgery 2019: On behalf of Organizing Committee we invite all the participants from all part of the world to attend the Neurosurgery Conference entitled “24th International Conference on Neurosurgery and Neuroscience" which is going to be held on March 18-19, 2019 Edinburgh, Scotland. Neurosurgery 2019 is the leading meeting dedicated to Neurosurgeons and Neurology researchers with the theme - “Unravel the Intriguing Conception on Neurology and Neurosurgery”. The main aim of Neurosurgery 2019 is to give voice to an outstanding program for discourse and authoritative views by leading scientists which covers the entire spectrum of research in neurological disorders and neurosurgery thereby sharing the cross-cultural experiences of various treatment procedures. Neurosurgery 2019 happens to be an annual meeting of Neurosurgeons as well as Neurology committees to explore the future of the Neurosurgery and Neurological disorders in terms of collaboration, structures and organizational development and advances of Neurology and Neurosurgery. It is already into our notice that an ample of resources is needed to recover the people suffering from Neurological Disorders and Diseases. As most of us know, according to the latest survey conducted by WHO, it is revealed that Neurological Disorders encompassing Stroke, Alzheimer & Dementia, Epilepsy and many more accounts for more than 12% of deaths worldwide on an average and it is also predicted that the number of disability –adjusted life years vanished due to Neurological disorders are expected to accelerate from 95 million globally in 2015 to 103 million by 2030. Spine Conference 2019: 5th International Conference on Spine and Spinal Disorders is scheduled to be held during April 25-26, 2019 Rome, Italy. Spine Conference will raise the most dynamic and latest issues in the field of Spinal Disorders. The Congress will highlight the discussion around the theme “Discovering the New Challenges for the Betterment of Spine Health” by bridging the gaps between the intellectuals from across the globe to enlighten their research and findings at Spine Conference. The highlights of the conference include Spine and spinal Disorders, Spinal cord injury, Biotechnologies for Spinal Surgery, Spine Fracture, Spine Infection, Pediatric Spine, Spine surgery, Inflammatory spine diseases, Stem Cell Therapy, Spine and spinal stenosis, Spinal Fusion, Spinal deformity, Spinal Injections, Clinical Trials and Case Reports in Spine and Spinal Disorders, Nursing management of SCI (prehospital care, critical care in NICU, nursing rehabilitation), Spinal Implants market analysis & Entrepreneurs Investment Meet, Ortho & Neuro-spine, Spinal deformity, Osteoporosis in Spine and Spine Arthritis and all representatives of Spinal Implants company sectors can participate and showcase their cogent findings and at the same time get exposed to a useful array of research and latest developments. Neuroscience Congress 2019: We are delighted to welcome you all to 28th World Congress on Neurology & Neuroscience for productive interactions and an opportunity to present their work and develop regional collaborations in the field of Neurology. 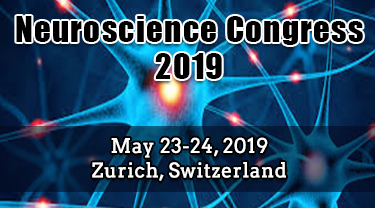 Zurich, Switzerland will be the significant venue during May 23-24, 2019 with the international speakers from different geographical regions to explore the scientific sessions. Neuroscience Congress 2019 on Neurology & Neuroscience is an unique venture which will bring together experts like Neuroscientists, Clinicians, Neurogeneticist, Neurologists, Psychiatrists, Medical practitioners, Care specialists, academic professionals and students from all over the world to share and exchange estimations to the massive audience and also an endeavour and to spread technical, research advances in the clinical, diagnostic and physiological aspects of Neurology. It aspires to conduct the survey and examine in reverend fields of Neurology and to put forward the Past and Current Research by academicians and practitioners from multiple disciplines to debate and deliberate on social change progress and the latest trends at different level that well harmonizes to life sciences. World renowned scientists, Noble laureates and scholars in their respective fields are part of our conference as keynote speakers, panel experts, and organizing committee members for this conference. 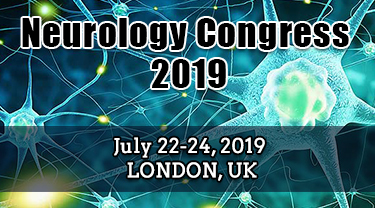 Neurology Congress 2019: 32nd European Neurology Congress to be held during July 22-24, 2019 at London, UK around the theme of “Explore the Novel Innovations in the field of Neurology and Neuroscience”. Neurology Congress 2019 will be operated by world class experts in the field of Neurology and Neuroscience, International symposiums, B2B meetings, workshops will also be organised to discuss the specific topics in the field of Neurology like Clinical Neurophysiology, Neurosurgery, Neuro Muscular Disorders, Neuro Infectious Diseases, Pediatric Neurology, Neuropathology, Brain Tumor and Neuro-oncology and many more. Neurology Congress 2019 will bring together experts like Neuroscientists, Clinicians, Neurogeneticist, Neurologists, Psychiatrists, Medical practitioners, Care specialists, academic professionals and students from all over the world to share an interest in the genetic pathways underlying neurological disorders, techniques to identify those genetic pathways, and the use of genetics and genomics as tools to develop therapeutics. The aim of the conference is to provide a platform to academicians and practitioners from multiple disciplines to debate and deliberate on social change that is encompassed by innovation and technology. Parkinson’s congress 2019 is conducted exclusively in support to worldwide neuro researchers. We endeavour to make Parkinson’s congress 2019 a grand success, with the support of high eminent talks from the neuro science and Parkinson’s disease communities. During the time, you spend at this congress, we promise you that we will provide you with world class facilities and hospitality. This convocation will focus on the recent advances and novel ideas in each series of Parkinson’s research, and it will offer an incomparable occasion for specialists from all over the globe to meet, collaborate, and extricate with diverse scientific relations. Epilepsy 2019:5th International Conference on Epilepsy & Treatment is scheduled on August 29-30, 2019 at Vienna, Austria. Epilepsy 2019 congress gives delegates the chance to come together, discuss the latest developments in basic and clinical epileptology, and network with fellow researchers, clinicians and other health care practitioners. The scientific programme of the Epilepsy 2019 promises to be innovative and engaging, with a wide range of Oral and Poster sessions, as well as video sessions. Epilepsy 2019 conference deals with the current research developments in the field of Neurology and also about the new treatment methods which are devised by scientists to treat various difficulties in epilepsy in an easier way. This conference acts as the best platform for attendees to learn about the recent trends in Neuroscience research and development. Brain Disorders 2019: 7th International Conference on Brain Disorders and Therapeutics is going to be held during September 19-20, 2019 in the city of Brussels, Belgium. It is the best platform in its kind with an experience of several years and brings together all the distinguished academic members from renowned institutes, universities, hospitals, research labs, pharmaceutical labs to exchange their knowledge in this field of medical science and technology related to it. With the successful experience of the last six years, we truly believe that Brain Disorders 2019 will achieve greater success and provide a better platform for all the participants to have fruitful discussions and to share ideas of researches. Hence Brain Disorders 2019 is taking this initiative to create deep understanding of the effects of brain disorders on health and transforming the knowledge into innovative therapies for patient care. Scientific Sessions: Brain Cancer and Tumors, Neurological disorders, Neuro-immunology of Brain, Structural and Functional Brain, Brain and Spine, Psychiatry and Psychology, Psychosomatic medicine, Pathophysiology of brain disorders, Cerebrospinal complications, Brain Nursing, Neuro-degeneration and Aging disorder, Neurosurgery, Pediatric Neurology, Neuropharmacology, Animal models in brain research, Computational brain and brain engineering, Addiction and Brain disorders, Analysis, Assessment and Diagnosis of brain disorders, Neurophysiology, Novel Therapeutic Strategies. 28th International Conference on Cognitive Neuroscience is scheduled to be held on September 25-26, 2019 at Copenhagen, Denmark. Cognitive neuroscience is the scientific field that is concerned with the study of the biological processes and aspects that underlie cognition, with a specific focus on the neural connections in the brain which are involved in mental processes. Moreover, growing awareness level regarding its symptoms, such as partial dementia, is projected to boost the demand. Currently, there are an estimated 4 million individuals with dementia in the USA with more than 100 000 deaths annually . Neurocognitive disorders will congregate renowned speakers, principal investigators, experts, neurologist’s and Dementia researchers from both academia and health care industry will join together to discuss their views and research. 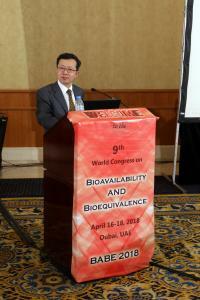 The conference will be comprised of sessions by world class experts in the field of neurology. In Neurocognitive disorders international symposiums, B2B meetings, international workshops will also be organized to discuss the specific topics in the field of Dementia and Neurology. Stroke Congress 2019: 9th International Conference on Neurological Disorders & Stroke is scheduled to be held during October 07-08, 2019 at Dublin, Ireland. Stroke Congress 2019 Conference includes a wide range of Keynote presentations, Oral talks, Poster presentations, Symposia, Workshops, Exhibitions and Career development programs to witness invaluable scientific discussions and contribute to the future innovations in the field of Stroke Research and Medical Development. Stroke Congress 2019 primarily focuses for a destination to entrap research centers, associations, and organizations which are more prominently engaged in neurological disorders and stroke. This event compile world level Neurologists, Psychiatrists, Neurosurgeons, clinical physicians, researchers, Directors, Professors, and Students from domain. it'll conjointly bring officialdom and world leaders along to ascertain innovative concepts within the Stroke & Neurology department. Presently, Germany, U.K., France, Switzerland, Italy, and Kingdom of Spain are the leading countries within the nervous disorder medicine market. The market study indicates that Switzerland can supply many growth opportunities within the overall medical market as awareness of those life-altering diseases grows. We invite all the participants/members from all over the world to attend the Neurology conference entitled 5th International Conference on Central Nervous System Disorders and Therapeutics which is going to be held during October 21-22, 2019 at Lasvegas, USA. The statistical surveying examiner at Technavio predicts that the worldwide CNS disorders therapeutics market will develop relentlessly and post a CAGR of around 3% by 2020. CNS 2019 aims to unite overall recognized scholastics in the field of Neuro-oncologist, Neuro-pharmacologists, Neurologists, Neuropediatrics, Pediatric Oncologists, Neurosurgeons, Neurophysiologists, Brain analysts, Public Health experts, Scientists, Academic researchers, Industry specialists, Scholars to trade about best in class Research and Technologies and to convey revelations of CNS diseases to Patients. 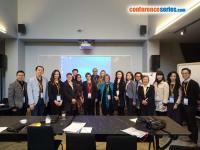 Attending international conference is for the Professional Development and to comprehend the momentum condition of research and the difficulties to future disclosure. Autism Society of America Foundation and Autism Speaks, Inc. Brain Aneurysm Foundation and Brain Injury Association of America, Inc.
National Meningitis Association and National MPS Society , Inc.
Conferenceseries not only hosts International Neurology conferences but also organizes scientific conferences in the fields of medical, life sciences, engineering, management, chemistry and pharmacy segments providing an exclusive choice for the exhibitors to choose and promote products or service to a large and varied range of audience creating a prospect to socialize and build connections. Recently prevention and better treatment of neurological disorders are within reach due to recent breakthroughs in neuroscience-vastly improving our understanding of the genetic, epigenetic, molecular, and cellular mechanisms; structure; and neuronal circuitry underlying normal and pathological brain function. Conferenceseries conferences organize 300+Neuroscience conferences every year to share the advancement in the field of neuroscience.